We’re on Teaming.net! Will you help us? We Are Now Available in English! How Great! 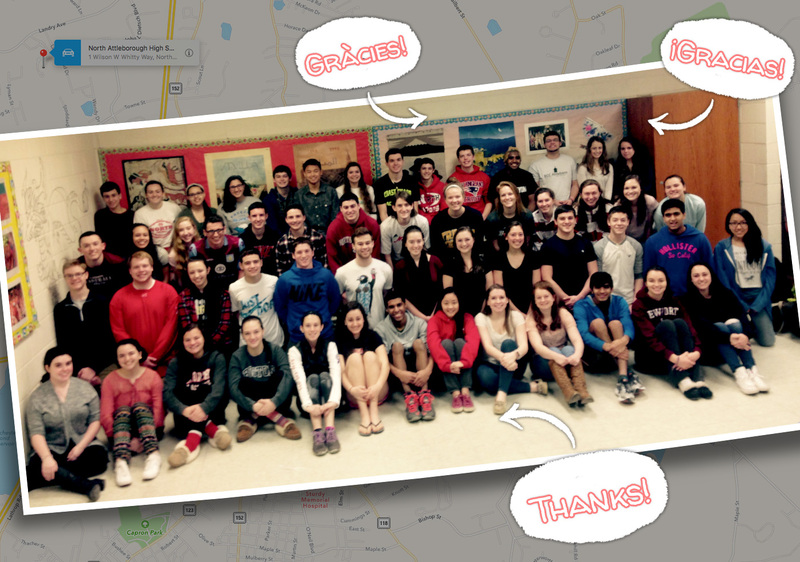 Many Thanks to the Volunteers! 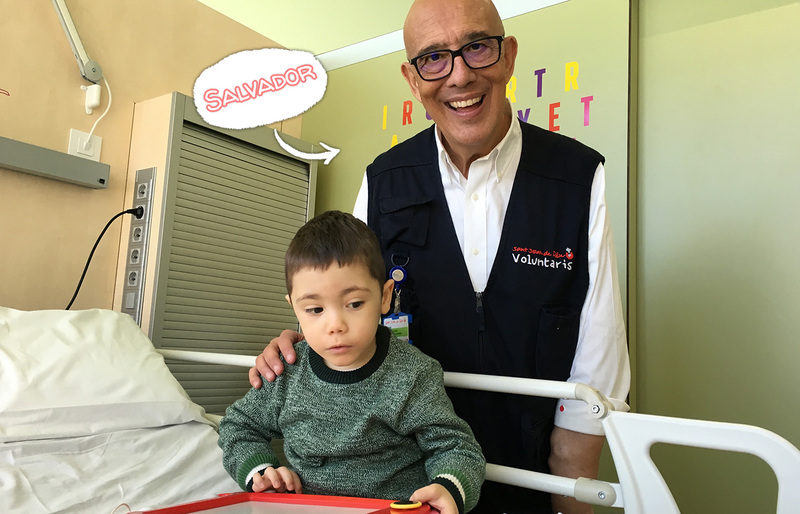 Bernat is one of the ambassadors of the 2016 Catalonia Blood Donors Marathon 2.0. 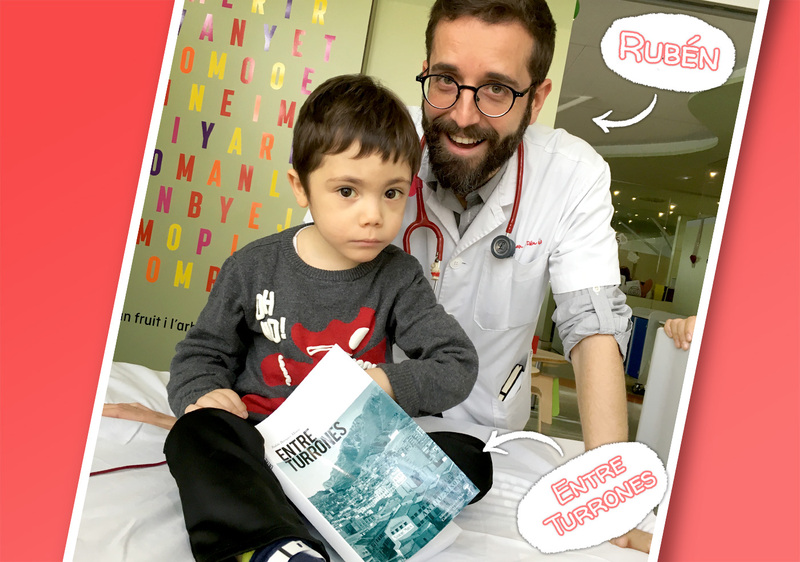 For this reason, Bernat has participated in the emotional campaign “The Fate of Donating Blood” (the featured video) made by our friends at the Blood and Tissue Bank of Catalonia. 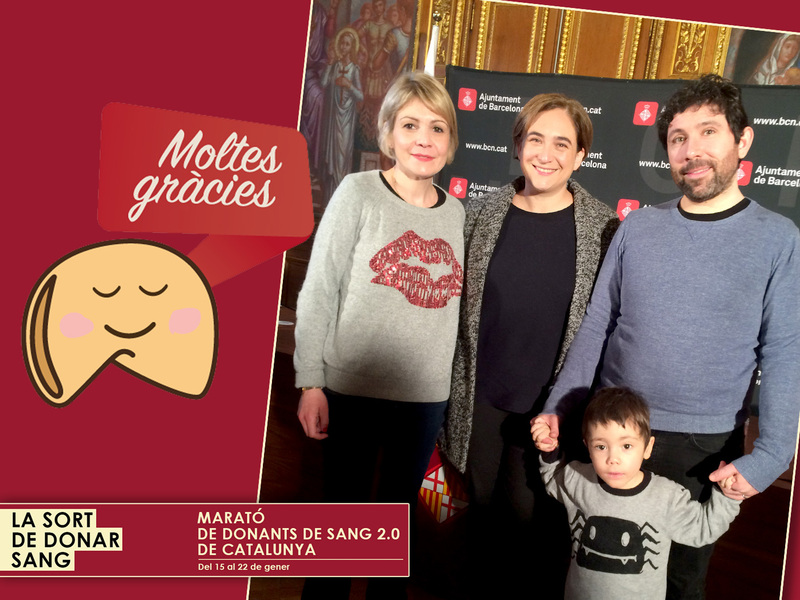 On the day of the Blood Donors Marathon 2.0, media organizations such as Television of Catalonia (TV3) and Barcelona Television (BTV), mentioned the marathon on their programs. And for good reason, Bernat was one of the youngest guests there. 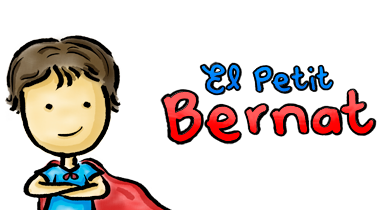 Welcome to El Petit Bernat blog. A place where we share our experiences, news, and a little bit of everything regarding Bernat and Pyruvate Kinase Deficiency. 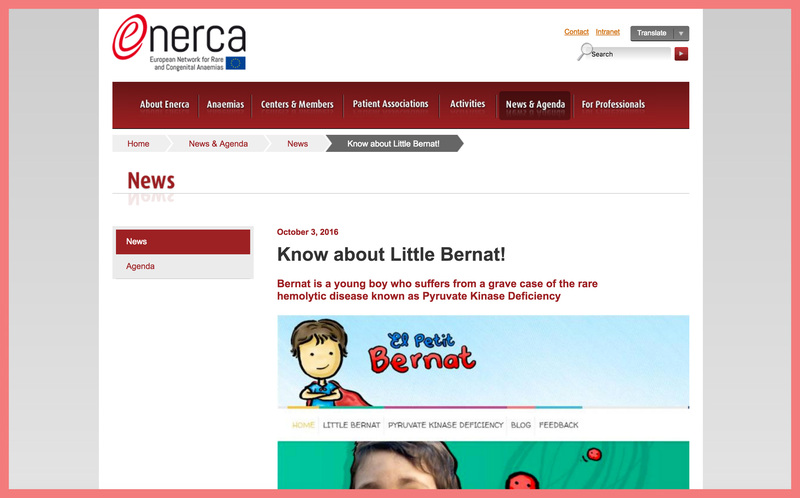 Bernat is a young boy who suffers from a grave case of the hemolytic disease known as Pyruvic Kinase Deficiency. PK Deficiency causes the destruction of red blood cells, which results in chronic anemia. Individuals with PK Deficiency require periodic blood transfusions. 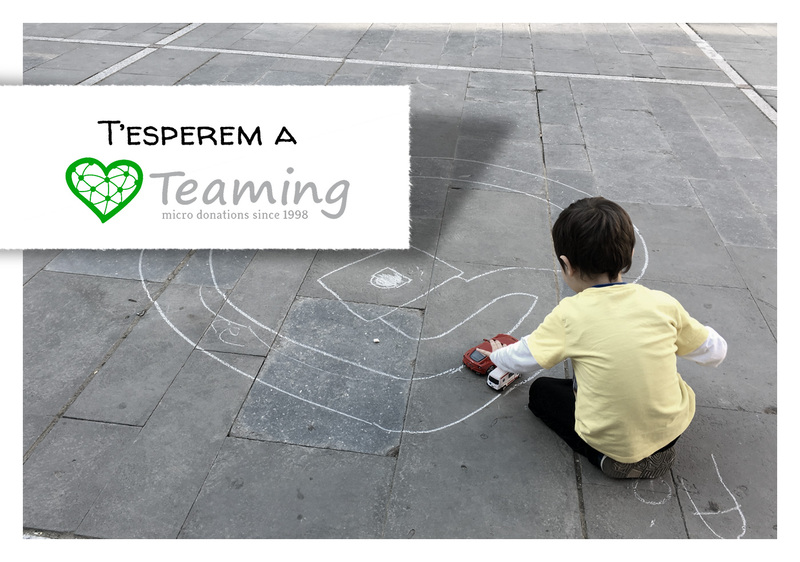 Our goal with this website is to inform people about Pyruvic Kinase Disease and to raise global awareness about the little things that people can do to help children like Bernat. 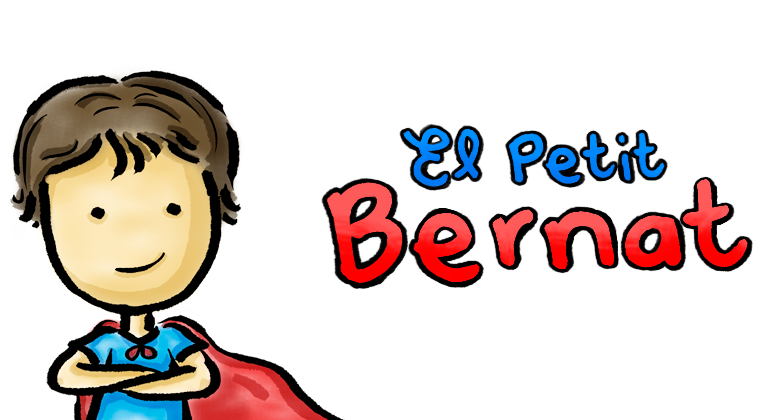 Above all, we want to pay a small homage to all the young heroes like Bernat.